2. Heat garbanzo beans for two minutes on medium heat until warm, drain, and place in large bowl. 3. Add cumin, coriander, cinnamon, chives, lemon juice, and dill to bowl. 4. Mash all ingredients in bowl. 5. Place wraps in oven for one minute or until warm and remove from oven. 6. 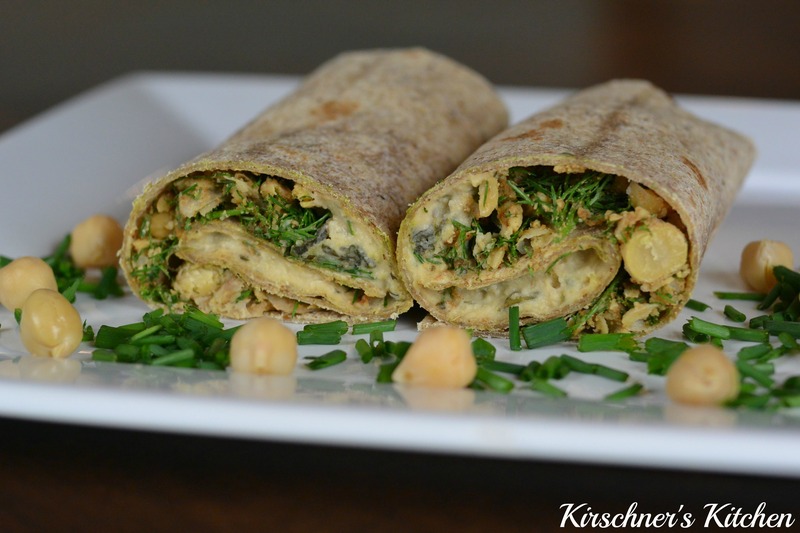 Spread hummus on warm wraps, add bowl ingredients on top of hummus, and fold.